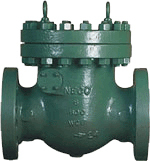 GLOBE VALVES are normally installed with flow and pressure under the plug or disc. 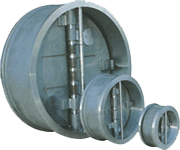 These valves are by directional and are used mainly for throttling application. Prolonged throttling at less than 10% open is not recommended due to the possibility of excessive vibration, noise and damage to disc and seats. Where globe valves are being used as a bypass valve, the pressure class rating of globe valve must be at least equal to that of the pipeline or valve where it is going to be installed. Globe valve plug is designed for quick opening but can also be fitted with regulating plug of any configuration to meet specific service condition. 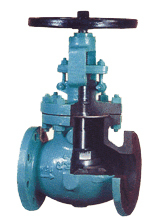 Globe valves are normally handwheel operated up to 10” for class 150lb, up to 6” for class 300 and 600. Gear operated from 12” and above for class 150 and 8” and above for class 300 and 600. Valves can be supplied with electric actuators on request.